March Madness, also known as the NCAA Division I Men’s Basketball Tournament, is the greatest post-season in all of sports. It’s one of my favorite times of the year. This time around, I decided to create a logo that celebrated it’s return. The concept I had was a basketball in the center with brackets feeding into it. I started with the basketball since that would be centerpiece. A lot of things can be made in Illustrator simply by positioning the right shapes in the right places. I started with the circle. Once I applied the right amount of stroke on the circle path, I copied the circle twice. I positioned the two additional circles so the bottom and top curves, respectively, would line up like they are seen on a basketball. The two crossing bars were applied and positioned to complete the center image. applying Divide Objects Below and deleting everything outside the main circle. Step 1 was necessary because I used Stroke to create the weight. If I had attempted to draw the circle and Divide Objects Below in that state, the cut would have been incorrect. I didn’t want the blank center to count as something to cut. 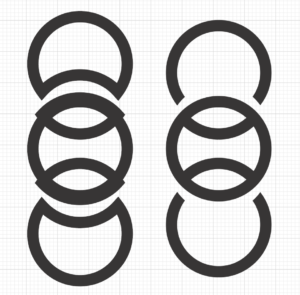 The circle(s) must be counted as rings and not full circles. Cutting stroked circles vs. Cutting circle outlines. The brackets were pretty easy. I just drew one bracket with the desired weight and copied the positioned the rest. 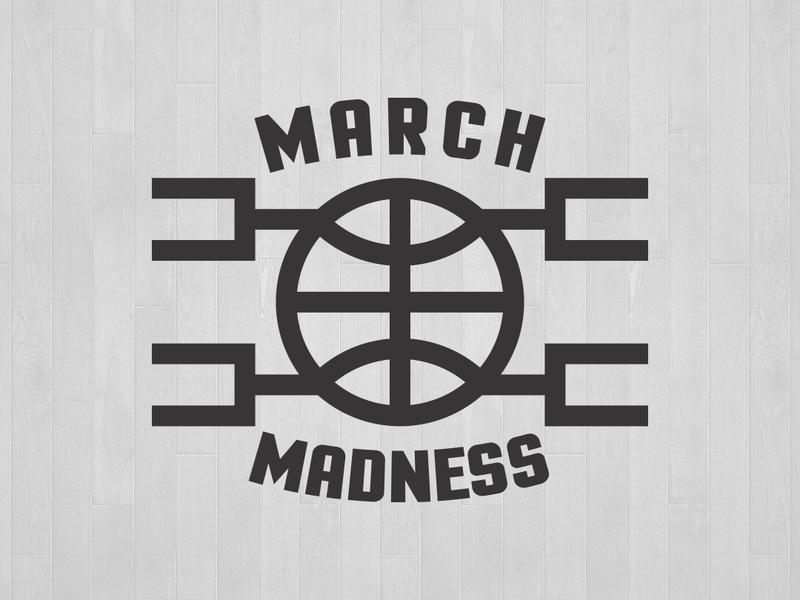 I added the text “March Madness” in the center and used “Unite” Shape Mode in the Pathfinder window. I like to unite the vector paths to make sure there aren’t any small white border lines separating the different layers. Uniting the paths helps ensure that the concept is seen as complete and not an assemblage of parts. After finishing this and posting on my social media, I saw an interesting thread. Carrington Harrison posted a March Madness style bracket of Kanye West’s best songs – the #KanyeMadnessBracket. 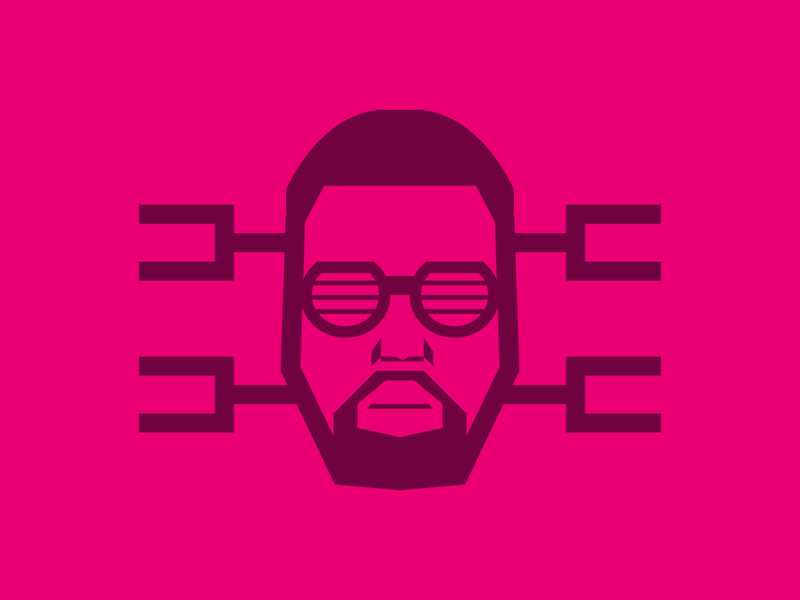 Immediately, I started working on a Kanye version of my March Madness concept. 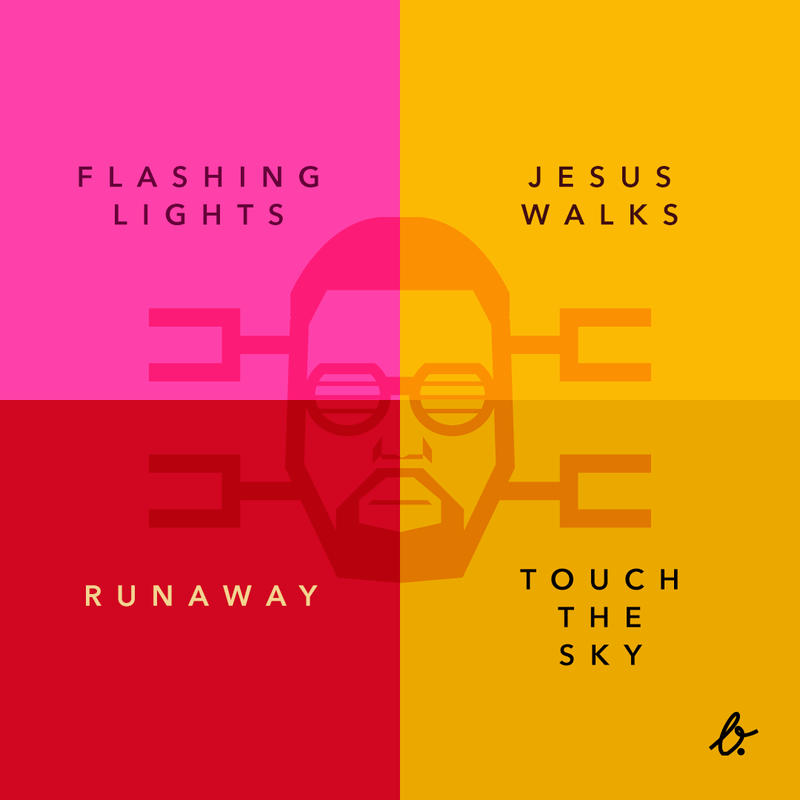 I kept the same brackets on the outside and created a simple Kanye West illustration. I used a Kanye photo as reference and made the center image. I started with the head shape and worked on everything fitting within and around it. Those glasses were chosen because they are iconic and easily recognizable as a past Kanye staple. I played with the colors and even made a graphic for my personal #KanyeMadnessBracket Final Four. Big events breed big, creative ideas. Glad I was inspired to design a couple of ideas to add to the fun of the season!